I honestly couldn’t remember for a few minutes and then…Wham… It hit me! Fried Ice Cream Cake! Landon loves fried Ice Cream! I used to make traditional fried ice cream. Last year I got to thinking (it happens sometimes) that there just HAD to be an easier way to make this dessert. THERE. HAD. TO. BE! First remove your ice cream out of the freezer and let it soften. The next step is to toast the crushed corn flakes…”Here’s to you Corn Flakes!” (Sorry it’s late, long day, long day…) and cinnamon sugar in a half cup or, one stick of glorious butter! Once the crumbs are nice and golden toasted you remove them from the pan and wallow in them oops! I mean…allow them to cool. Next mix your quart of softened vanilla ice cream with one package of cool whip. Throw some muscle behind it…come on…you can do it! Mix, mix, mix! Cover with foil and pop it into the freezer! Let it freeze for 4-5 hours. Tick-tock…tick-tock…don’t do it…ya gotta wait! Before serving, let cake set out for about 20 minutes. With a sharp knife cut the cake into squares. 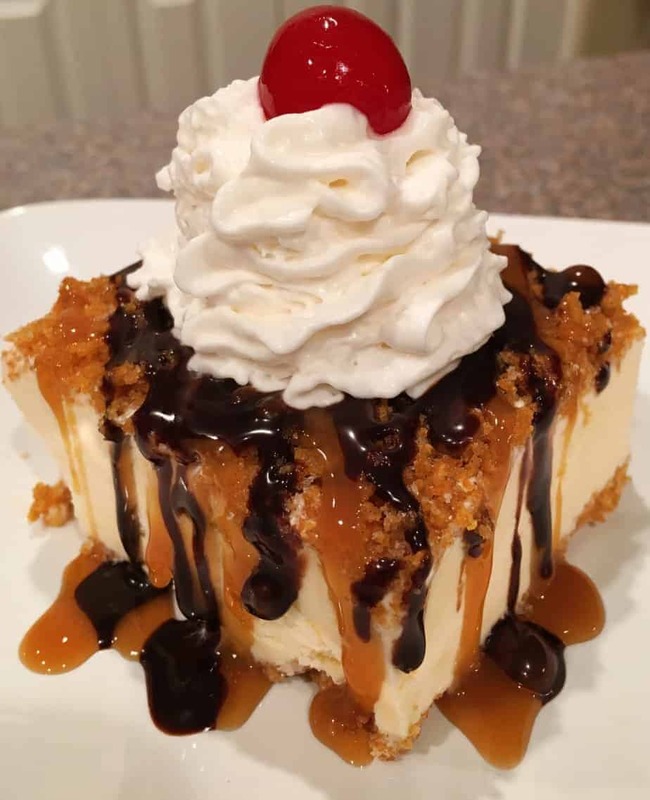 I like to finish mine with a drizzle of caramel and chocolate…then I add a squirt of my fluffy friend whip cream and if you’ve gone this far… I say go ALL THE WAY and finish with a cherry on top! Ta-DA! 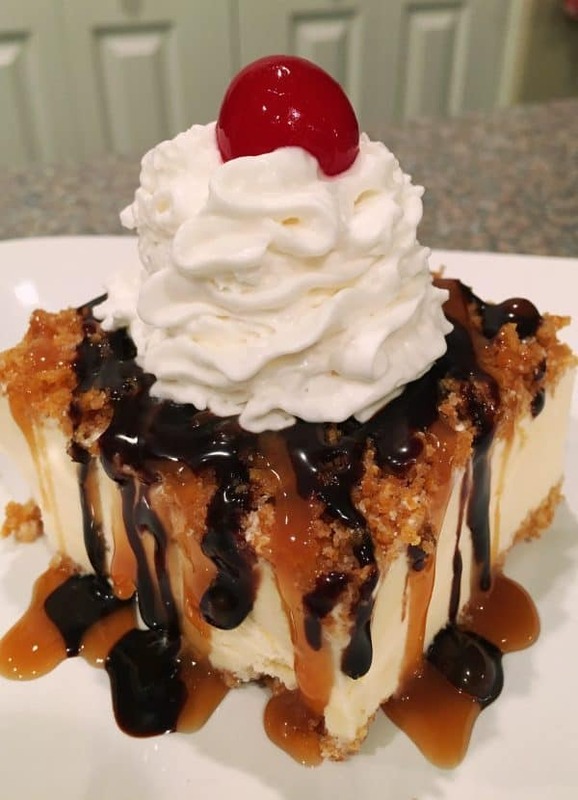 Fried Ice Cream Cake! There it is. Fried Ice Cream Cake! It’s great any time, but during the blazing hot summer… it’s the best! Maybe someone at your nest would like this for their birthday? I hope you like this recipe. If you do… remember to share it with a friend! Have a Great weekend Nesters! I’m sharing this delectable recipe on my Favorite Link Parties. Click on the Links to Join the Fun! The traditional Mexican fried ice cream dessert but without the deep fry! It's full of flavor and yet so easy to make! 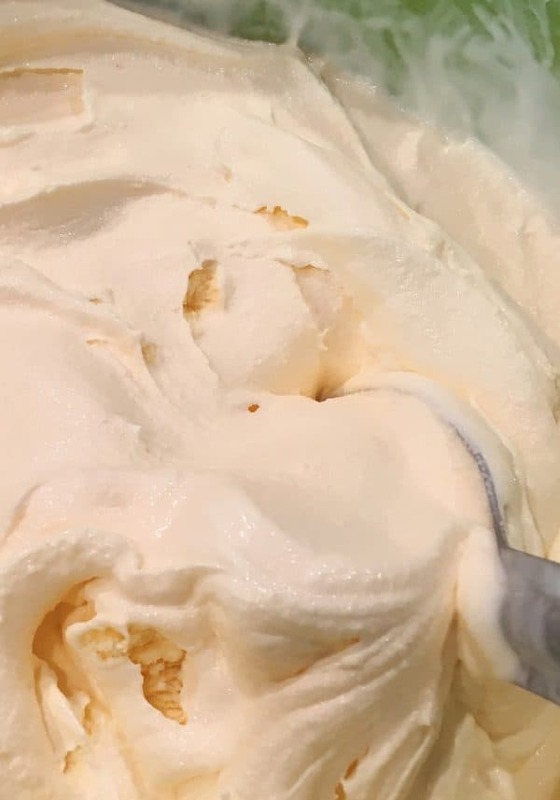 Take the vanilla ice cream out of your freezer and let sit at room temperature for 30 minutes or so, to soften. Melt butter in a medium skillet, over medium heat. Add the crushed corn flakes, sugar and cinnamon. (I mix my sugar and cinnamon before hand) Stir to combine. Fry mixture for 5 minutes, stirring constantly, until cereal is golden-brown. *Be careful not to burn. It may take less than 5 minutes. Take a 9 x 13 baking dish and spread 1/2 the corn flakes mixture into the bottom of pan. Set aside. In a large bowl, add the softened vanilla ice cream and cool whip. Using a spatula or large spoon, stir and mix well to combine. Spread ice cream mixture over the top of the corn flake mixture in the bottom of the pan. Spread the remaining corn flake mixture evenly over the ice cream. Drizzle the honey over the top. 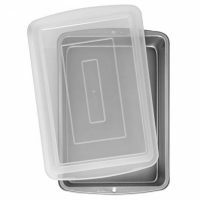 Cover pan, and place in freezer. 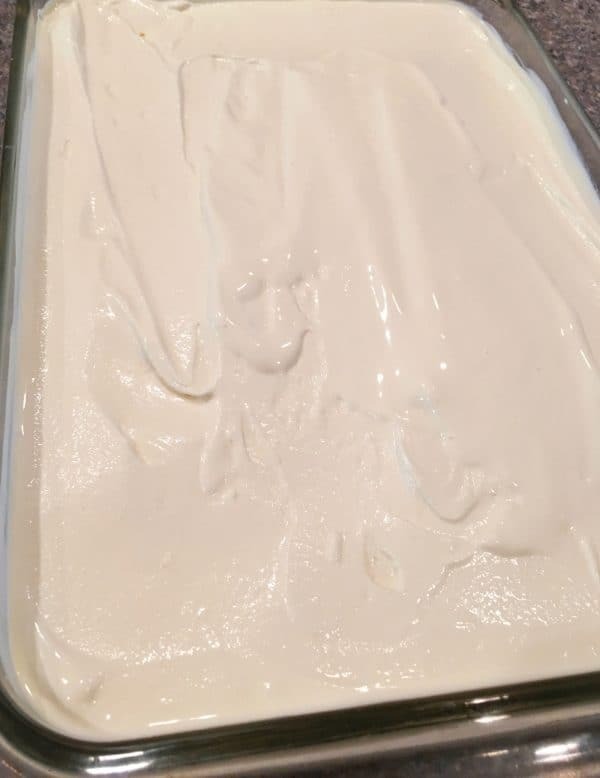 Freeze ice cream for at least 5 hours, or overnight. Cut into squares and serve with drizzles of chocolate syrup and caramel sauce. Remember your fluffy friend whip cream and the cherry on top! Enjoy! Wow, this does look super easy and delicious!!! I will have to make this for Sunday dinner. Thanks for sharing. You are so welcome Carrie! Hope your family loves this dessert as much as our does. Thanks for popping by! YUM!!!!!! I am going to need to make this SOON! I can’t wait to try this for our FHE group. Yummy! Thank you for sharing this recipe!! Made it for Sunday dinner and it was so easy to make and so yummy! And yes that cornflake mixture could be my personal crack!! YUM! We loved this! I tried it out a few weeks ago and it was gone in one night! Just made it again for the 4th of July weekend, so so yummy! 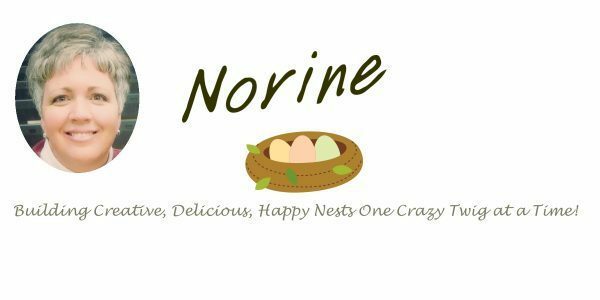 Thanks for the great share at Weekend Potluck, Norine! 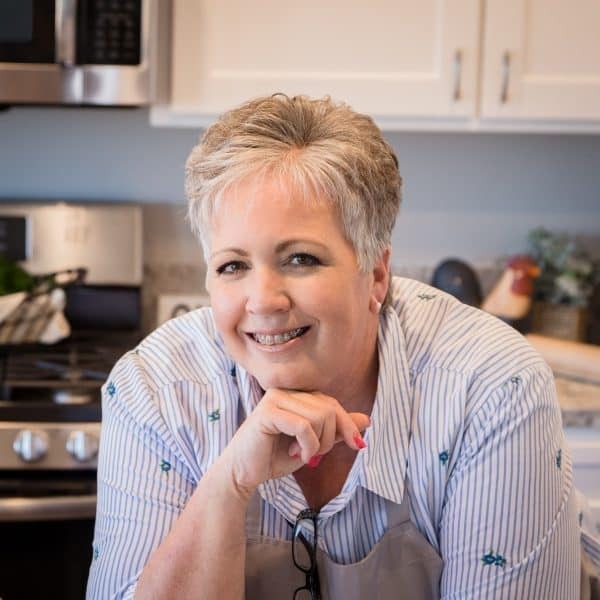 I hope you stop by again to share more of your delicious recipes! This looks fantastic and I want to make it but we do not in general like honey and I hate to buy a bottle just for 1/4 cup. Can you think of a substitute?I was considering clear or dark corn syrup but don’t want to ruin the recipe. I am so wanting to make this. 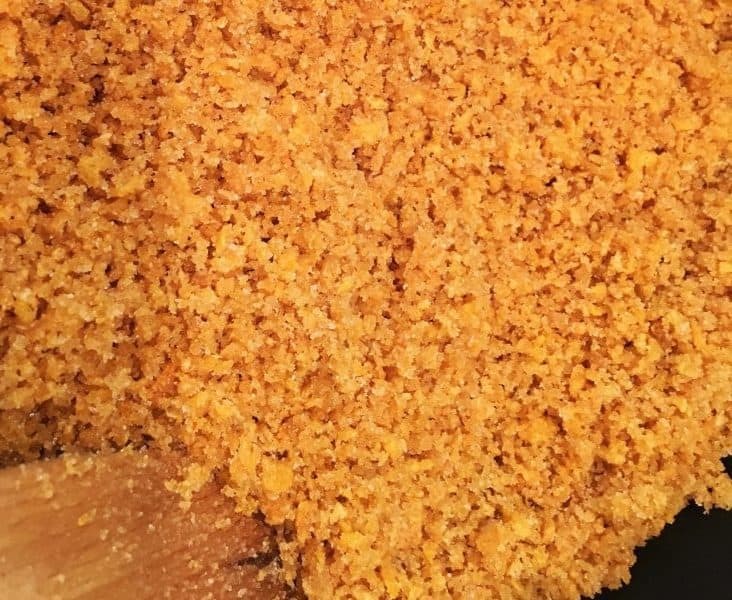 Just wondering is there a trick to spreading the ice cream over the corn flake crumbs so they don’t mix together? This looks amazing!! In your directions, you mention using 1/2 stick of glorious butter but the recipe itself reads 1 stick of butter. Which is the correct measurement? I’ll be making this recipe for 60 ladies at our Apples of Gold Class! I’ll update you as to how it goes!!! Carmela I am SO sorry about that. I meant 1/2 cup of “glorious” butter which is one stick! Sorry for the confusion and I will go correct that right now! I can’t wait for the update and I hope your ladies love it as much as I do! Thanks for the comments and finding my error! This looks so good! How far advance can I make this? I am juggling a lot of dishes for a party and hoping to make this in advance. Good News! The crust will not get mushy in two days or even a week. About two weeks out…the crust get’s a little soft! Be sure to toast those corn flakes really well. You don’t want to burn them…but you do want to get them nice and toasted! One of the things that makes my recipes different from the others is that I add the sugar and cinnamon to the corn flakes during the toasting which makes them nice and crunchy! Other recipes add the sugar after you’ve toasted the corn flakes! Be sure to cover it really good and you’ll be good to go for your party! We’re having this same cake this week for a party we are having. You’re guests will LOVE this dessert. Enjoy! Thanks for stopping by and have fun!!! 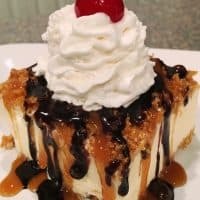 My daughter loves fried ice cream and her 16th birthday is Tuesday. Since she doesn’t like cake I am trying to think up so ways to price this up into a sweet 16 cake. Any ideas? I’m so sorry it has taken me a few days to respond. I’ve been down with the flu! First…Happy 16th Birthday to your daughter! This is the perfect birthday cake! My two sons request this every year for their birthday’s. They love it. There are several ways you could spice this cake up for her birthday! You could add chocolate covered strawberries to the top! Pip whipped cream frosting around the edges and add sprinkles…there are so many awesome sprinkle combo’s out there now. You could make the cake in a spring form pan rather than a 9 x 13 and actually cut the slices like regular round cake. Those are just a few of the idea’s that come off the top of my head. I hope she has a wonderful birthday! 16 is such a great birthday! Again I’m so sorry I wasn’t able to get right back to you. Hope this helps in some small way. 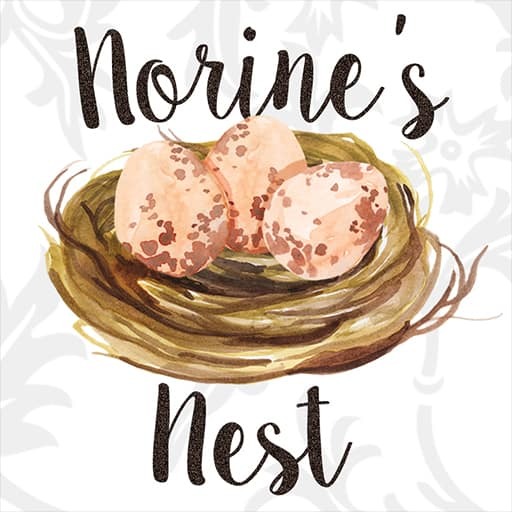 Happy Nesting and Thanks for Stopping by!